Gum disease is inflammation seen in the gums, just a simple swelling and reddening of the gum tissue. But the effect of this periodontal disease can be really severe and affect the jaw structure acutely. Though it is the gum tissue that is affected, if it progresses then it can even proceed to the bones as well. The support that is obtained from the bones to the teeth is lost due to this disease. Gum disease is known to affect about 12% of the adult population. The disease develops due to the bacterial presence in the mouth. The bacteria act on the tissue and then forms a thin layer of dental plaque. When this plaque is not removed, they start affecting the gum tissues. When the bacteria starts to infect, the gum tissues will get inflamed and have a reddish appearance. Later when the plaque is not cleaned and if the personal hygiene followed is at a less than acceptable level, then a pocket like appearance is seen on the gum tissue region. The infection then moves to the space below the gum lining. When this situation develops, it becomes difficult to clean and requires the help from an experienced dentist. This can then spread to the root region of the tooth and damage and tooth decay can also result. This disease progresses through different stages. It starts as a painless inflammation. The gums would be tender and bleeding for a while. As the disease progresses, the gum lining can be seen to recede from the tooth. This would be then accompanied by halitosis or bad breath due to the bacteria acting on the gum tissue. As the supporting structure form the teeth get affected, the teeth become loose. When the disease progresses further due to severe infection, pus starts to come out from these gum and teeth. They are called gingivitis, periodontitis and advanced periodontitis disease conditions. 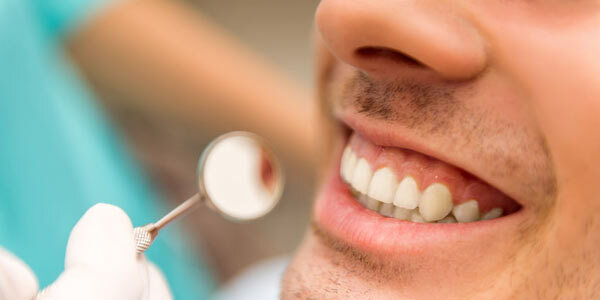 Depending on the condition and severity of the gum disease, treatment is suggested by dentists. There are different types of dental surgery. This type of procedure is also called gingival flap surgery. The pocket formed near the gum lining is cleared of the bacterial build up. The deep cleaning procedure is conducted by the dentist, tartar is also removed. This helps to remove any further chances of infection of the gums. This procedure involves removing part of the gum tissue that has overgrown. Removing this tissue helps to better way to clean the gum tissue from the bacterial build up. It leads to the crown of the teeth appearing longer, and also has an aesthetic effect on the appearance of the teeth. One of the major effects of gum disease is receding gum tissue. To treat this, tissue from other parts of the body is taken and grafted to the receding area. This process is called gingivoplasty. This is done not just for cosmetic effect but also to restore health to the gum tissue. When gum surgery is prescribed as the treatment – then certain procedures are followed. Before the surgery starts, anaesthesia is given to numb the area. A simple cleaning procedure of the teeth is also conducted in this stage. After the numbness sets in the gums, the procedure commences. Scaling and root planing is conducted in this procedure. It helps clean the area and also reduce further chances of recurrence of the disease. When the procedure is completed, the dentist will place stitches on the area that is treated. You will need to follow up with the dentist to check on how the wound is healing. Over the counter medicines will be given to treat the pain that may accompany the surgery. If required, the dentist may also prescribe antibiotics to help in the healing process. Applying ice packs will also help bring down the swelling in the jaw area. Dentists will advise on the change in diet that needs to be followed after going through this surgery. It is also important that brushing and flossing in the area of treatment are done with care. It is recommended that the area which has undergone treatment is not brushed or flossed till the healing is complete. If there is bleeding or severe pain experienced that does not go away you need to consult with the dentist as soon as possible. Gum disease progresses in a gradual manner. As the gums recede in a slow manner most of the time it goes unnoticed. People start to notice it when they experience teeth sensitivity as the dental roots also get exposed. So it is important that dental consultations are conducted twice a year. This helps an experienced dentist to examine whether the oral health and hygiene is up to par. If you need any changes in dental hygiene habits or even any treatment, the dentist will be able to advise you at this time. Treating gum diseases by means of surgery does not mean that it won’t appear again. Regular dental care and check-up consultations with the dentist is important to have a good idea of how one’s own dental health is. Following a good healthy diet, following a good cleaning regime, reducing smoking and usage of tobacco etc. are all important to have good oral health.